Panel Saws are a class of highly versatile machines present in all joinery businesses whether it’s large or small. Sometimes they’re used for complex shopfitting’s and exhibition display stands. But for Australian Pipe Organs, the panel saw takes on a whole new role in the production and restoration of musical instruments! Since its establishment in Keysborough Victoria in 1980, Australian Pipe Organs have established a solid reputation for their attention to detail. From small mechanical parts, intricate angled casework or large veneered panels, timber represents a large portion of their work and the panel saw is at the heart of the operations. “It all has to be absolutely accurate, very long lasting and reliable,” Says Daniel Bittner, the current Managing Director of the business, “Having a good saw is paramount. 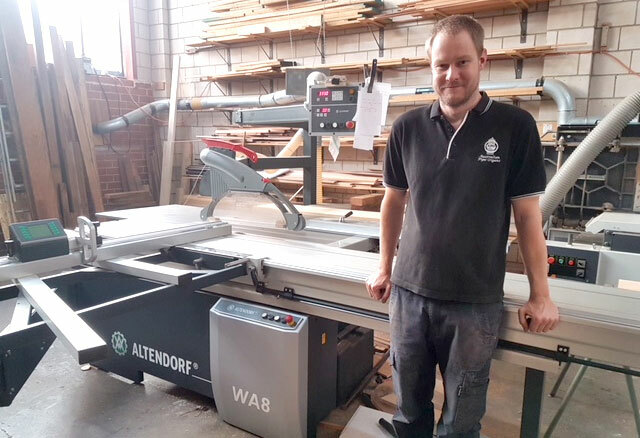 While I’ve used an Altendorf during my apprenticeship days, we thought they’d be out of our price range despite being more accurate and easier to use.” That notion quickly changed when Daniel met operations manager Paul Serini from Altendorf. The two drove out together to see an Altendorf WA8X in action. It wasn’t long after that Daniel decided the WA8X’s value proposition was well worth the investment. And indeed, it was an investment that paid it self many fold for the boost it brought to the business. The first contract completed on their new Altendorf was the Chapel Organ for Camberwell Grammar School (pictured). The organ is contained within a case of blackwood designed to match and complement the existing furnishings, namely altar, lectern and font, and is to be placed along the rear wall in shallow disposition. The movable console, also in blackwood is currently placed to the left of the altar but can be easily relocated to almost any other area of the chapel when required. The instrument is controlled by a multiplex switching system which also includes every modern playing aid as well as a record and playback facility which will prove to be an obvious advantage when an organist is not available. The organ, never assembled in factory, simply ‘clicked’ together onsite, was a testament to Australian Pipe Organ’s intricate attention to precision and detail. 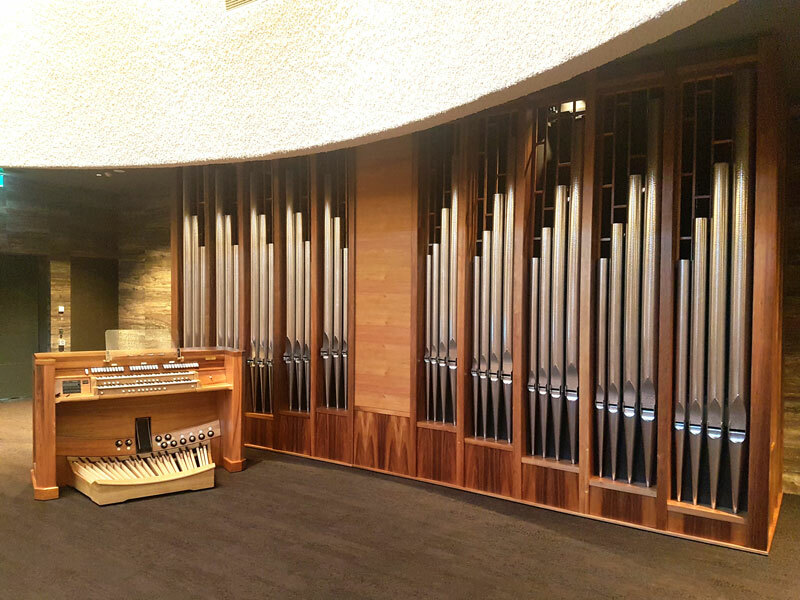 With a wide portfolio of pipe organs in churches, schools, councils and price clients across Australia, Australia Pipe Organ’s is a remarkably unique case for the use of the humble saw. Daniel is confident that with the introduction of the new saw on the factory floor, the precision and productivity gains would carry a further boost to the company’s reputation.